In an ongoing attempt to reduce the growing use of cigarettes in Malaysia, the price of a typical pack of 20 is now more than RM21 (US$5). Still way below the US$15 in the USA or US$10 in Singapore but way up from about RM3.20 in 1996. In a survey carried out by the Ministry of Health (Malaysia) in 1996, there were 2.4 million smokers in Malaysia. Despite such price hikes, tens of millions of dollars spent on advertising and numerours articles about the dangers of smoking, there are reported to now be nearly 5 million smokers in the country, about double the number in 1996. Globally, according to WHO, tobacco deaths cost the world US$1 trillion while revenues from tobacco taxes generate US$269 billion (2013 – 2014). According to WHO, smoking kills six million people annually, more than HIV/AIDS, accidents, homicides, and suicides combined. No data is available on what smoking costs Malaysia but we do know it costs the Canadian government around RM10.5 billion in direct health care and another RM38 billion in lost productivity. Canada is a good benchmark for Malaysia because in 2011 approximately 5.8 million Canadians smoked, about the same as Malaysia. Locally revenue from taxes on cigarettes totaled around RM9 billion in 2015. However, one of the biggest problems in Malaysia is the black market in cigarettes. 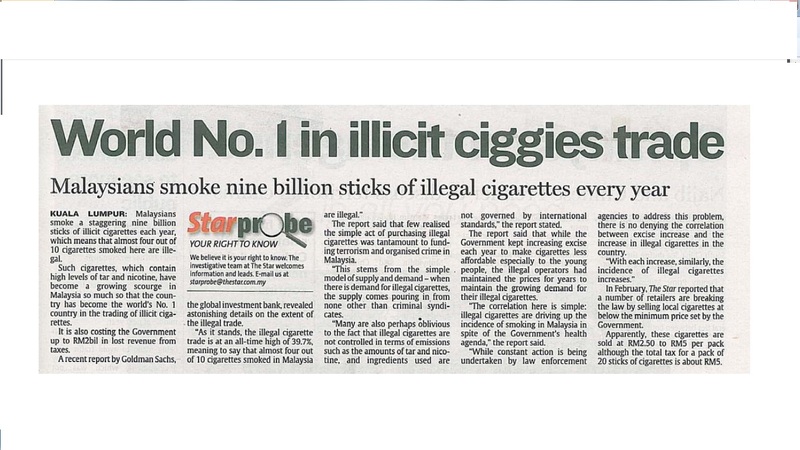 According to the Confederation of Malaysian Tobacco Manufacturers (CMTM) 57% of cigarettes sold in Malaysia are bought on the black market which according to the Star newspaper makes Malaysia number one in the world when it comes to trading illicit cigarettes. This costs the treasury at least RM2 billion a year. The recent price hike is the latest in a series of initiatives that are supposed to stem the rising number of smokers in the country as well as increase revenue for the country. In addition to the rapid rise in the price of cigarettes, a number of Health Ministry driven initiatives about the dangers of smoking have also been tried. The first of these initiatives was an anti smoking campaign launched in 1991, in conjunction with the National Healthy Life Style Campaign. This extensive campaign that ran for over 10 years raised the level of awareness of the hazards of smoking among the general public, both smokers and non-smokers. But the numbers continued to rise. Then came the “Tak Nak” campaign in 2003, consisting of TV Commercials, Radio, print and Outdoor (including school notice boards). Costing almost RM18 million (US$5 million) for the first year, and rumoured to cost in total RM100 million for the 5 year campaign, it was widely lambasted in the media. This is because although the campaign raised the awareness of the effects of smoking, once again it did little to reduce the number of smokers. Even the then Health Minister, Datuk Dr Chua Soi Lek said in 2005 that there was no indication that the number of smokers had gone down since the campaign began. Despite the ineffectiveness of this campaign, in August 2009, The Malaysia Ministry of Health launched the next (and most harrowing) installment (see video – viewer discretion advised) of its anti-smoking “Tak Nak” campaign via TVCs. The TVC’s feature gruesome images of mouth cancer and lost limbs due to gangrene caused by smoking. This campaign followed the legislation, earlier that year that all cigarette packets sold in Malaysia must carry graphic images related to smoking. These included images of the results of neck cancer and a dead foetus. Throughout the years, the Ministry of Health has tried its best to reduce smoking in Malaysia and the fact that it wants to do something should be applauded. But it’s not having the desired effect. I can’t help but think the efforts seem to be independent tactical campaigns based on the fact that there is a budget, rather than elements of a strategic approach to a clearly defined goal. And these campaigns rarely have the frequency required to make an impact. We see this a lot in the private sector. A budget for advertising is approved and an advertising agency is appointed and the board sees the ads and the billboards and thinks that’s job done. But unless the goal is to put out ads it isn’t job done. And if the ads don’t resonate with the target markets, and research shows anti smoking ads don’t resonate with target markets, then the job is far from done. Evidence from previous campaigns in Malaysia and other countries suggests that campaigns featuring shocking images and graphic descriptions of the consequences of smoking using Television commercials, print ads and outdoor ads are ineffective. 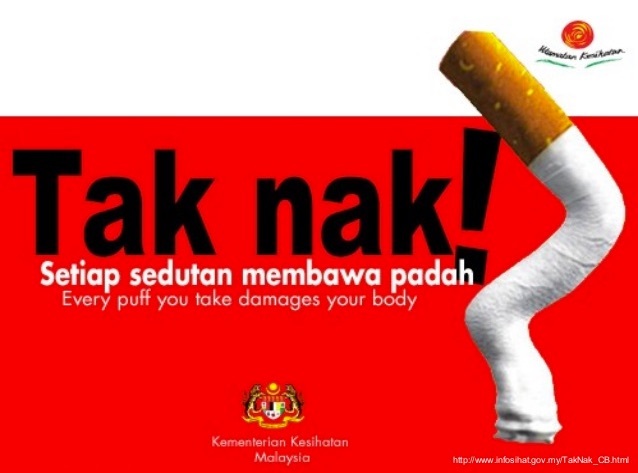 Malaysia spent RM100 million over 5 years on such a campaign that saw an increase in the number of smokers in Malaysia. To put it bluntly and despite best intentions, that’s a fail. Likewise, chilling commercials or emotionally disturbing programs are also ineffective. In fact, the study also discovered that when a close family member become ill from the effects of smoking, the smoker takes no notice! According to the study, smokers only reduce the number of cigarettes or sometimes quit when their own personal health is at stake. But even failing health may not persuade a smoker to reduce or even stop smoking because smoking is linked to a lack of psychological wellbeing and often failing health results in psychological decline. So how can a country like Malaysia reduce the number of smokers and why should it involve a brand consultant? The problem with using an advertising agency to solve a complicated issue such as this is that if all you have is a hammer, everything looks like a nail. Advertising, no matter how creative isn’t going to reduce smoking. What is required is a data driven approach to the issue. Specific and comprehensive qualitative research with relevant targeted questions related to each clearly defined micro segment must be developed to deliver actionable data. These segments will be ex smokers, existing smokers, those who have smoked all their lives and tried hundreds of times to stop. Celebrities, doctors, educators, retailers (especially retailers) coffee shop owners, customs officers, even smugglers and the police and other enforcement officers as well as others will need to be interviewed. The data from this research will form the foundations of the blueprint to reduce the numbers of smokers in the country. It will be a long term initiative. 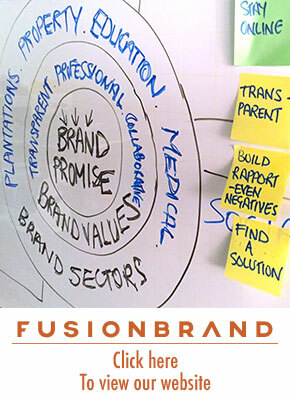 Solutions may include communications campaigns but they won’t be based around one size fits all commercials or messages. Instead they will be developed to resonate with each specific segement. And they will require consistent implementation over a long period of time and the commitment of the authorities. They will require collaborative efforts that look to improve the psychological wellbeing and confidence of smokers. Environmental changes must be made to ensure it is more difficult for smokers to find an amicable environment. Existing smokers will be targetted individually through interviews with doctors, rather than one-size-fits all shock and awe campaigns. It’ll also require a triage like approach that ignores the 35 year veteran smokers and instead targets their children and their grand children. Talking of which, there must be a specific emphasis on education at kampung (village) level and ongoing, dynamic, preventative programmes for schools. Laws banning the sale of cigarettes to minors must be strictly enforced. Other solutions will include more investments in and better enforcement by customs and enforcement officers rewarded for contraband seizures. Rewards (and protection) for whistleblowers should also be offered. They will also require the buy in of all stakeholders. 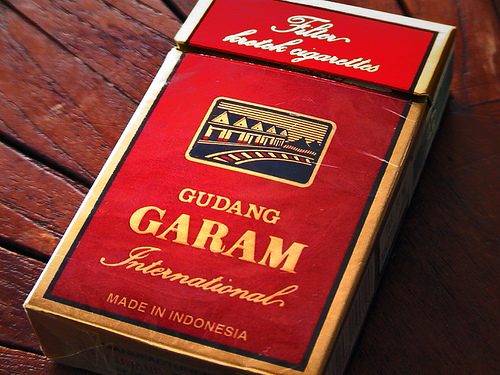 On a recent visit to a Police station following a traffic accident, I was interviewed by a Policeman in his office while he chain smoked his way through half a box of Gudang Garam. Outside his office was a no smoking sign. Civil Servants must not be allowed to flout laws that forbid smoking in Government buildings. 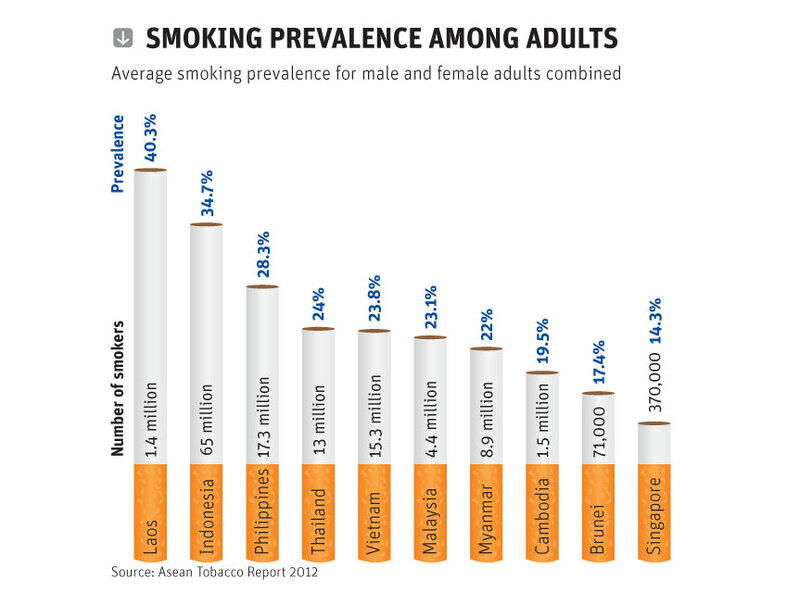 There is no easy way to reduce the number of smokers in Malaysia. It’s going to take a long term investment in time, effort and money. Wasting money on increasing prices will only see more contraband sold. Creative driven campaigns that have not worked in the past will not work in the future. But the rewards are considerable. Not only in a reduction of the amount spent on smoking related healthcare, but also in a healthier, happier nation. Advertising agencies haven’t solved the problem. 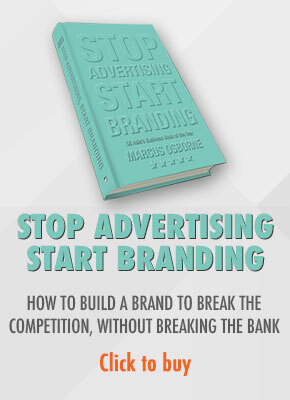 It’s time to give the responsibility to a brand consultant. I have one in mind! Totally agree with the comments and very much appreciate the plug. Hello Mr Blayney. Thanks for your comment. Plug? What plug?! But you are welcome!